Wow what a Science Week we’ve just had, a fantastic initiative to get kids engaged in all things science. No better way to love science than to learn all about our amazing marine creatures, why they are important and why we should look after them. Some huge thanks go out to Clayfield College, St Joseph’s School Nundah, Parklands Christian College and Brisbane Adventist College for hosting us during Science Week. Every one of the kids were an absolute pleasure to share knowledge with, they enjoyed the close contact with our animals absorbing all aspects of their existence. Each school program is extremely engaging and fun to cover, the latter an increasingly important topic within schools as we strive to understand and protect our surrounding environment under the pressure of an ever increasing population. Visiting these schools provided many memorable moments, too many to share in a short blog post. Here is a small sample from our schools visited this week. Science Week provides children the chance to see that science is a fun and cool subject to learn. It is important to keep encouraging children to pursue science throughout their academic lives and continue to produce creative successful scientists of the future. Children are often scared off by science and all its jargon, but at Ocean Life Education we break down that barrier, make understanding animals and their natural environment simple and easy to remember. This empowers children and encourages them to dig deeper in search for answers. Once again we would like to thank the schools who included our incursion into their celebration of Science Week, we look forward to seeing them again in future and encourage all schools to jump on board and enlighten their children towards a brighter scientific future. 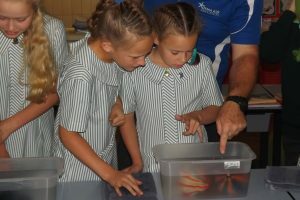 To book your next Science Week incursion with Ocean Life Education, contact us. 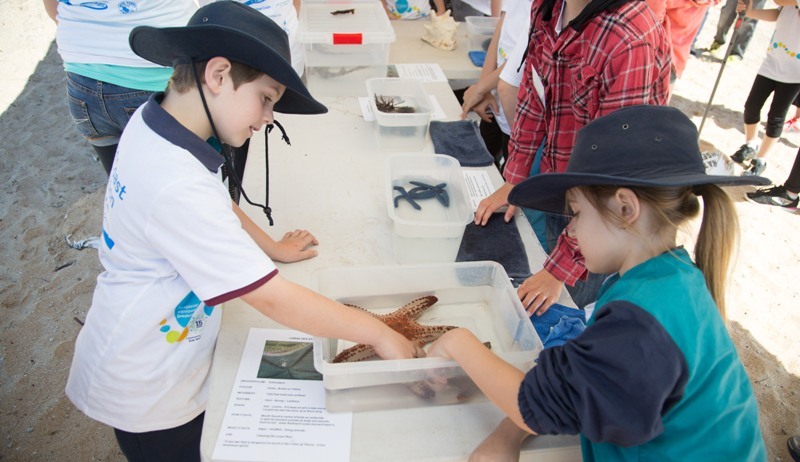 This entry was posted in Schools and tagged incursions, School Incursions, schools, science activities, science incursion, science week on August 25, 2015 by oceanlifeeducation. Understanding our surrounding environment, our impact upon it and why we need to protect it has never been more important. Fortunately, the Australian Curriculum is moving toward an improved coverage of key concepts and understanding within biological and Earth sciences across all primary year levels. Ocean Life Education offers a fantastic opportunity for teachers to use our programs as a learning resource that is engaging, providing meaningful interactive learning whilst linking to related curriculum modules. 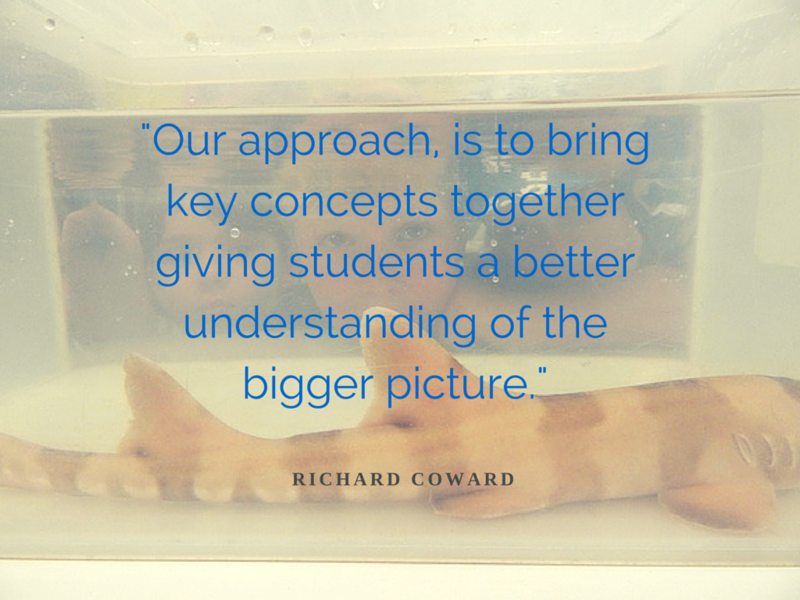 Our approach, is to bring key concepts together giving students a better understanding of the bigger picture. We help students understand animals and their given habitat, how they differ from other animals, why they look and feel the way they do, what their importance is to the environment they live in, what problems humans create for them and why we need to look after them and their habitats. For example, sea stars have a tough flat body to protect them from their harsh habitat (the shallow foreshore). They belong to a group of animals called ‘Echinoderms’ as they have tube feet and pump water around their body not blood to keep them alive. The sea stars eat algae and dead animals off the ocean floor, keeping it clean and healthy. If we pollute the water, sea stars will struggle to survive in their habitat. The problem lies in that if our human impacts result in dying sea stars, we lose an important cleaner of the ocean floor, resulting in a complexity of negative effects. We take the approach of helping students to understand these cause and effect links to help keep our environment clean – to ensure the animals’ survival, and ours. We deliver school programs that provide alignment with the Australian Curriculum Science strands: Science Understanding for Biological Science and Earth & Space Sciences, as well as Science as a Human Endeavour. Using live marine animals, we provide a unique depth of engagement and understanding. 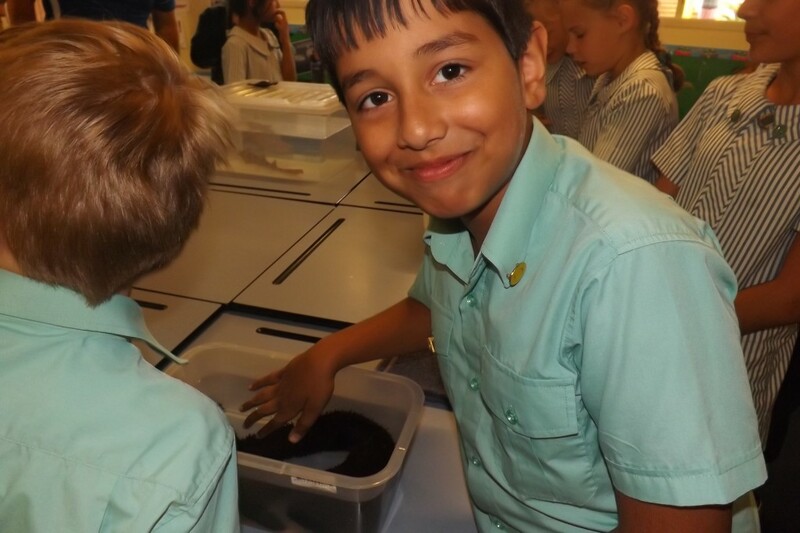 Our marine science incursions are a truly rewarding and refreshing way for students to learn key concepts set out by the national curriculum. Visit our school programs page for a range of available programs. This entry was posted in Schools and tagged Australian Curriculum, Marine Studies, Ocean Life Education, School Incursions, School Programs, Science on January 8, 2015 by oceanlifeeducation. 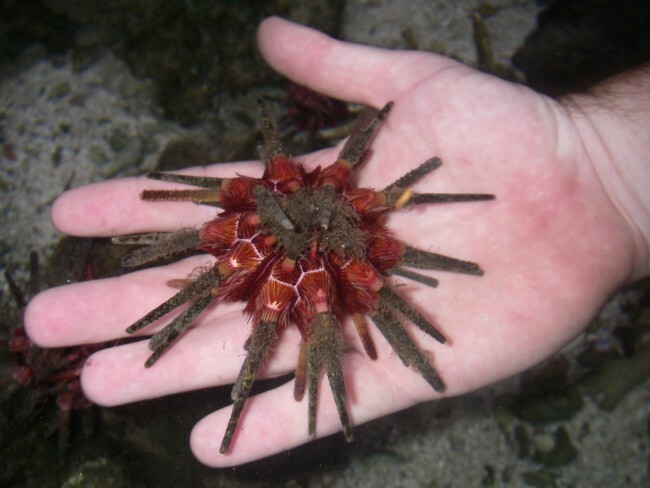 Ocean Life is a hands-on experience that young children enjoy! They are fascinated by the animals and artefacts and always learn so much (even when they don't think they are). Thanks Richard, you outdid yourself again. Thankyou so much! The students and adults alike loved It. It was fabulous being able to touch so many different and amazing sea creatures! We are looking forward to this year’s show. The children really enjoyed it last year and spoke of it weeks following.